Reality star turned mobile game magnate. 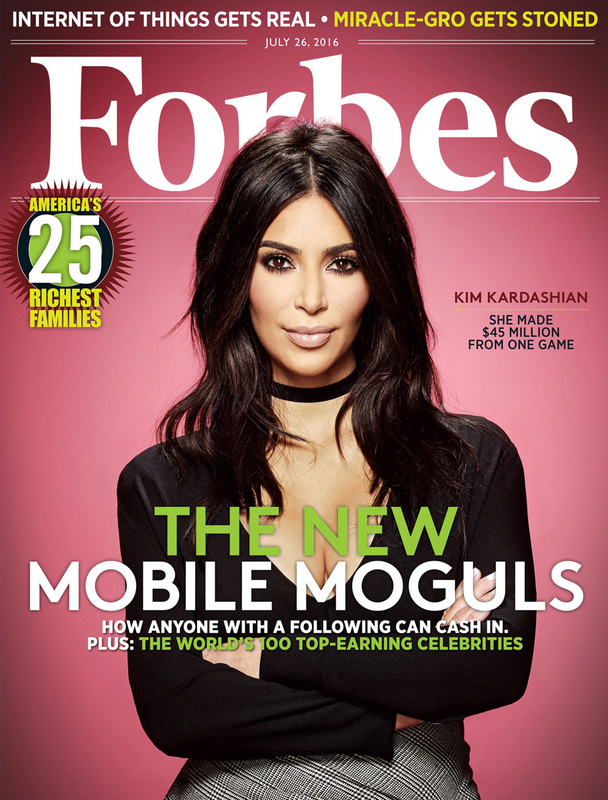 Kim Kardashian landed the cover of Forbes magazine’s July 26 issue after her Kim Kardashian: Hollywood app earned $160 million. 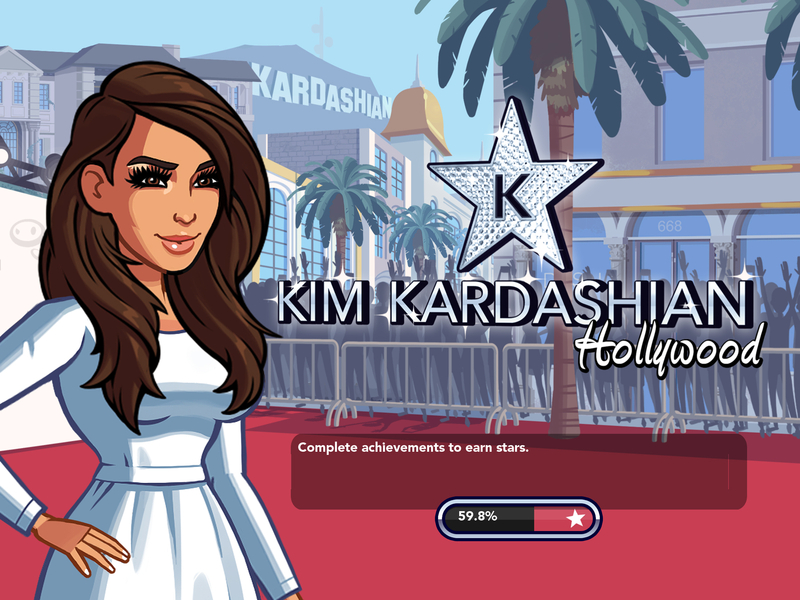 In the game, which launched in June 2014 and is available on iOS and Android for $1.99, players can create their own celebrity, book appearances, befriend Kardashian and, ultimately, rise to the A-list. The app has been downloaded more than 45 million times and has generated $160 million total revenue, although Forbes estimates that the reality star pocketed a mere $45 million. The Keeping Up With the Kardashians star, 35, also landed the No. 42 spot on Forbes’ Celebrity 100 list after she earned $51 million this year, 40 percent of which came from the app alone. To keep the app up-to-date, Kardashian works with developers to sync her daily life with her virtual life. When she traveled to Punta Mita, Mexico, her character in the game arrived on the same day. “I would give [developer Glu Mobile] bikinis and be like, ‘Hurry up and mock up this bikini, because I’m going to wear it, and then you can have it live in the game!’” she explained. The Selfish author also has a $2.99-a-month eponymous app that gives fans an inside look with daily Kardashian content, videos and even beauty tutorials. Amid it all, Kardashian says she refuses to let haters get in the way of her success.